The Itsy Bitsy Spider Crochet: Angry Birds blue bird is here! Angry Birds blue bird is here! 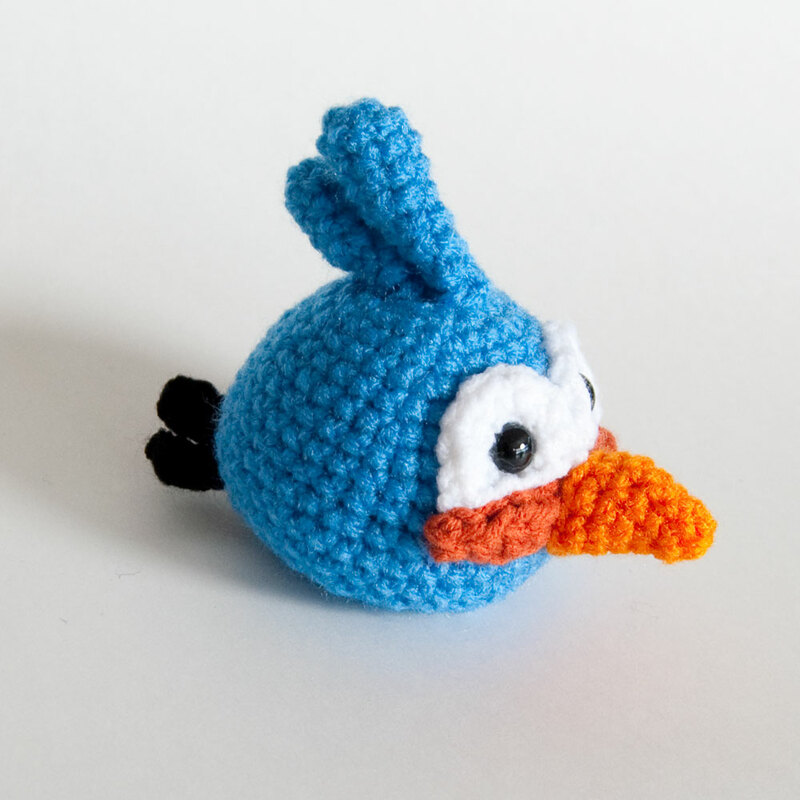 After no less than FIVE tries, the blue bird from Angry Birds (aka, the blue bird of angryness) crochet pattern is finally finished! I have no idea what my mental block was on this particular Angry Bird, but I ended up remaking the little fellow over and over again. My pattern notebook looks like it was written by a person with serious personality issues! On the bright side, this pattern is my favorite yet -- so perhaps it was worth all the extra work. looks good, i'll be picking this pattern up. can't wait for the rest of them!!!! Yay! You are doing an amazing job - they look just like the "real" deal! Those are awesome! They would make a great baby mobile for the kiddos room. do you have any plans for the black and white (not sure what they are really called) birds? mine are coming out great and i'd like to do the whole set! 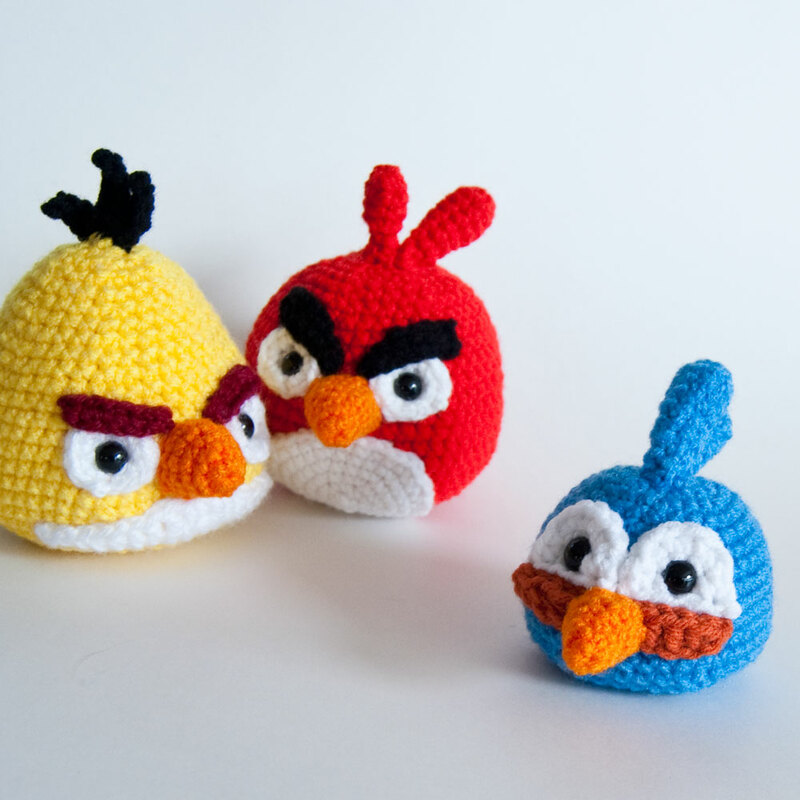 I really want to buy all of your angry bird patterns, but how do I?? i've seen articles about them but I can't find any to buy except the red cardinal. Seconding the "how do I buy these patterns" question. I'd love to get the full set!